Chinese Internet travel provider eLong.com (LONG) has just reported its unaudited financial results for the second quarter ended June 30, 2008 and says while total gross revenues slightly increased, its operating loss and net loss both expanded. Total gross revenues increased 10% year-on-year to CNY86.0 million and net revenues increased 9% year-on-year to CNY80.8 million. Operating loss increased year-on-year by CNY5.7 million to CNY7.9 million, driven primarily by increased revenue offset by greater service development, and sales and marketing expenses. Net loss from continuing operations increased year-on-year by CNY18.4 million to CNY20.3 million, driven primarily by a CNY9.6 million increase in sales and marketing expenses, a CNY4.5 million increase in foreign currency exchange losses and a CNY7.3 million decrease in interest income compared to the prior year quarter, due to the appreciation of the Renminbi and lower U.S. interest rates. 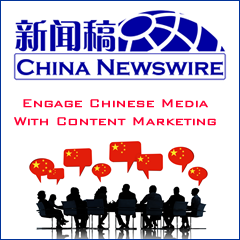 The news doesn't look better for the company in the coming months as it expects net revenues for the third quarter of 2008 to be relatively flat, within the range of CNY75 million to CNY83 million, or -5% to 5% compared to the third quarter of 2007. Hotel commissions increased 5% for the second quarter of 2008 primarily due to higher room volume. Room nights booked through eLong increased 5% to 968,000, while commission per room night of CNY65.2 was similar to the prior year quarter. Air ticketing commissions increased 32% for the second quarter of 2008, driven by a 19% increase in air segments to 412,000, and an increase of 81 basis points in the average percent commission to 6.0% or CNY44.5 per air ticket. Gross margin in the second quarter was 71% compared to 72% in the prior year period driven by the growth of lower margin air revenues and higher personnel costs. Total operating expenses increased 17% for the second quarter of 2008 compared to the second quarter of 2007. Operating expenses were 81% of net revenues increasing by 6% compared to the second quarter of the prior year. Net loss for the second quarter 2008 increased by CNY18.4 million over the prior year quarter to CNY20.3 million. Cash and cash equivalents as of June 30, 2008 were CNY1.07 billion.